Hosted by the Sales and Marketing Council of the Northeast Florida Builders Association (NEFBA), the Laurel Awards recognizes outstanding achievement in building, design, sales and marketing in the development and homebuilding industries. 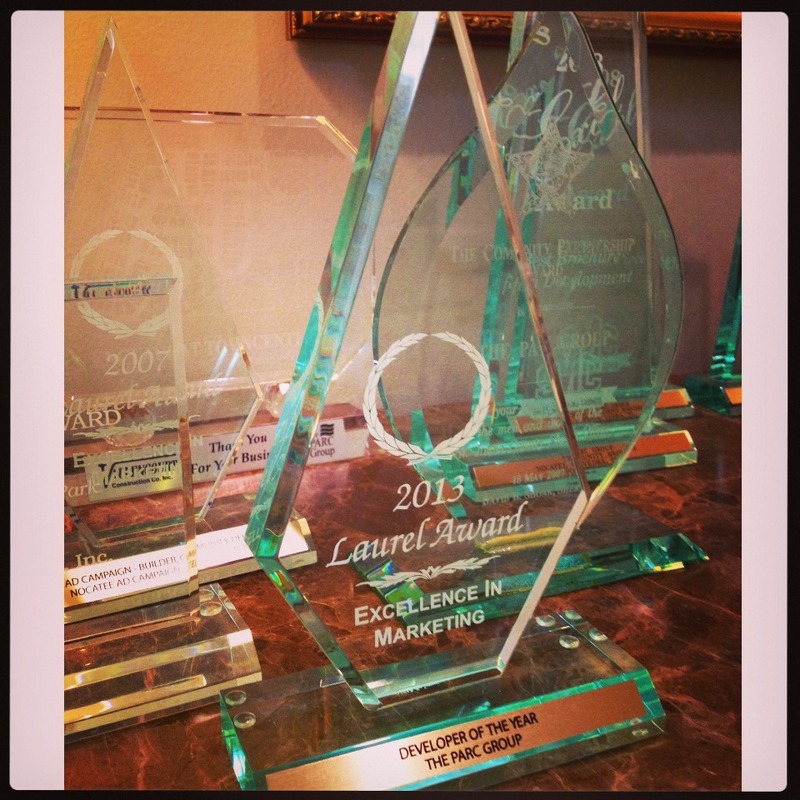 The PARC Group, Master Developer of Nocatee, was named Developer of the Year for the eighth consecutive year at the 2013 Laurel Awards on Friday, March 14th. In addition to Developer of the Year, The PARC Group received top honors with Best Facebook Page for Nocatee’s strong social media presence. Held at Del Webb Ponte Vedra’s breathtaking Anastasia Club, the evening’s attendees were able to get a closer look at Nocatee’s award-winning active-adult community. To learn more about the Nation's 5th Best-Selling Community, stop by the Nocatee Welcome Center or call 1-800-NOCATEE.